Library workshops are for everyone! On Tuesday, February 5, 4:00 p.m. – 5:00 p.m, the School of Library, Archival, and Information Studies (SLAIS) will host Anatoliy Gruzd, Assistant Professor at Dalhousie University for his talk ”Automated Discovery and Visualization of Communication Networks from Social Media” in Room 461 of the Irving K. Barber Learning Centre. As social creatures, our online lives just like our offline lives are intertwined with others within a wide variety of social networks. Each retweet on Twitter, comment on a blog or link to a Youtube video explicitly or implicitly connects one online participant to another and contributes to the formation of various information and social networks. Once discovered, these networks can provide researchers with an effective mechanism for identifying and studying collaborative processes within any online community. However, collecting information about online networks using traditional methods such as surveys can be very time consuming and expensive. The presentation will explore automated ways to discover and analyze various information and social networks from social media data. About the speaker: Anatoliy Gruzd is Assistant Professor in the School of Information Management and Director of the Social Media Lab at Dalhousie University. His research initiatives explore how social media and other web 2.0 technologies are changing the ways in which people disseminate knowledge and information and how these changes are impacting social, economic and political norms and structures of our modern society. Dr. Gruzd is also actively developing and testing new web tools and apps for discovering and visualizing information and online social networks. The broad aim of his various research initiatives is to provide decision makers with additional knowledge and insights into the behaviors and relationships of online network members, and to understand how these interpersonal connections influence our personal choices and actions. As part of its strategic plan, UBC Library has announced a number of collection and service consolidations at various campus branches and sites. You can stay updated by visiting the Library changes website for news on changes to collections, space renovations and services. The most recent updates include notices about Koerner renovations, space developments in the Irving K. Barber Learning Centre and collections moves. 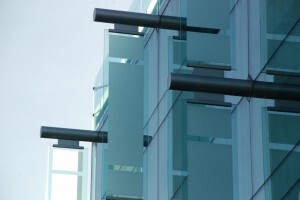 Stay connected and informed – visit the site, and submit feedback tolibrary.communications@ubc.ca with “Library Changes” in the subject line. January 29th, 2013 by deewin | Comments Off on Presenting Oliver Jeffers! 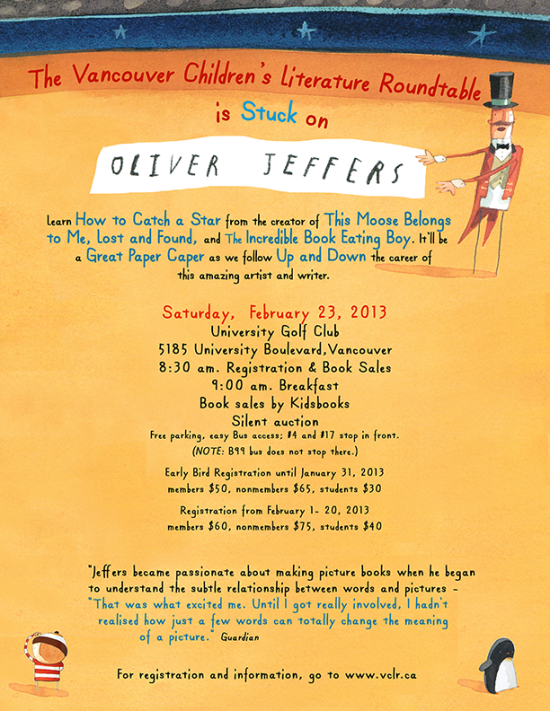 The Vancouver Children’s Literature Roundtable, a group dedicated to supporting the children’s literature community of Vancouver is proud to host renowned picture book artist Oliver Jeffers at the University Golf Club on Saturday, February 23, 2013. Please click on the poster to enlarge, click here to register for this event! 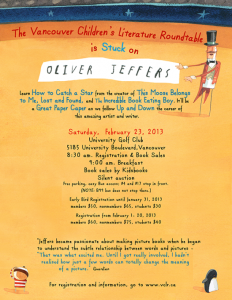 Posted in Events, Oliver Jeffers, VCLR | Comments Off on Presenting Oliver Jeffers! We're really pleased that comments are now enabled on our blog posts, meaning readers can join in on the conversation! Do note that the comments are moderated to ensure that they are respectful in tone and content. It may take a couple of days for your comment to appear. Looking forward to our future blog-dialogs! Of course you can still get in touch with us at chung.collection@ubc.ca. Many thanks to the UBC Library LSIT department for making this change for us.